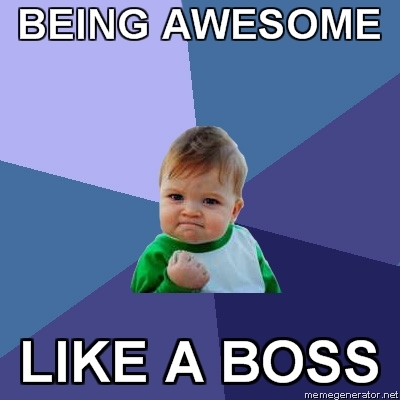 I'm both boss and awesome. I use my awesomeness to make other people awesome. I'm also a boss, just thought I'd throw that out there. At best I'm the freakin man, at worst, I'm still the freakin man....yeah, kinda a big deal.